With the "Dig Out Your Soul" album out, Oasis has started a new fantastic world tour. 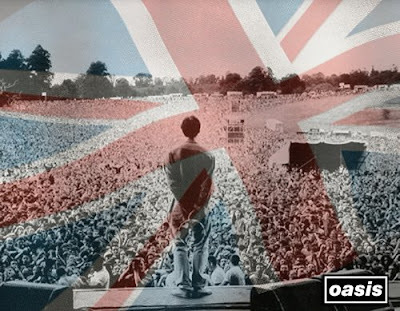 The first lucky people were the british one that has had a full month of Oasis all around that country. The official release of the new album was at October 6th but there was a secret gig of the "Standing on the edge of the noise tour" several weeks before. The good news doesn't end here, you can download that secret concert at Hammersmith by clicking here. The new album has been well receive by the fans and the critics. Including Allan Mc Gee (Oasis former) has said ""true follow-up to (What's the Story) Morning Glory?, completing the elusive and perfect rock'n'roll trilogy that began with Definitely Maybe." And at his column in the observer he compared the album with The Beatles Revolver and The Rolling Stones Beggars Banquet. He also wrote "Dig Out Your Soul works because Noel has returned to the original inspiration of his youth for his songwriting. Definitely Maybe was about their dreams of rock'n'roll stardom, Morning Glory was about achieving the dream, Be Here Now was the coked-up aftermath, now Dig Out Your Soul is a glance to a psychedelic yesterday, again. For me, the past four post-Morning Glory albums never captured the magic of the first two. Songs from the past five albums had moments of pop reverberations and incredible songwriting, but were never complete statements. With Dig Out Your Soul, the notorious Oasis brothers have found their mojo. It's back, without a doubt." In the UK, the album sold 90,000 copies on its first day of release, making it the second fastest selling album of 2008, behind Coldplay's Viva la Vida or Death and All His Friends. It debuted on the UK album chart at #1, with first week sales of 200,866 copies, making it the 51st fastest selling album ever in the UK. The album debuted at #5 on the US Billboard 200 with 53,000 copies sold. 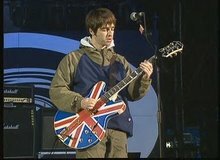 It is the highest chart position of any Oasis album in the US since 1997's Be Here Now which debuted at #2, but fewer total opening week sales than Don't Believe the Truth. I hope you enjoy this great Album, another Masterpiece from Oasis. Cheers! 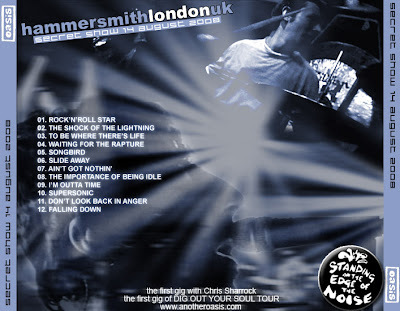 If you miss it: Dowload the "Standing on the edge of the noise tour" at Hammersmith.